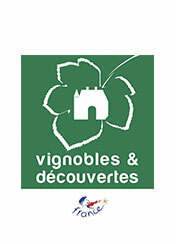 Discover, encounter, learn, taste, savour – a fantastic programme for all fans of nature, heritage and wine tourism. Walk through the entrance of the Château Roquefort estate and a charming alley lined with grape vines will greet you. In the distance, hills stretch as far as the eye can see, and generous nature breathes a scent of soil and grapes. Those with an interest in archaeology from the Neolithic era can discover the longest ‘covered walkway’ dolmen in Europe. The access to this part of the estate is free. 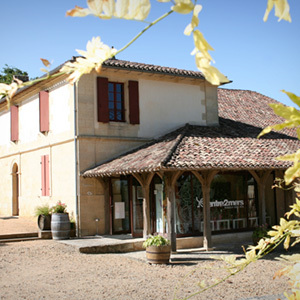 For a complete visit, one hour and a half, we’ll take you for a tour of the estate, and for a wine tasting, On this journey through history, the 13th-century fortified house is a reminder of the period when Aquitaine belonged to our English neighbours. The 18th-century dovecote, restored by the Compagnons du Devoir, reveals how pigeons were kept to fertilize the production! 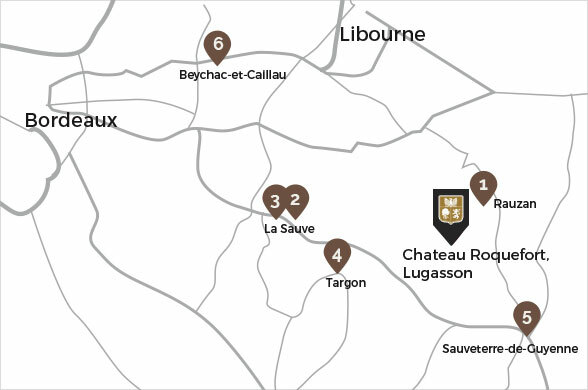 After this comes an historic tour, discovering the cellars and expertise of Château Roquefort. 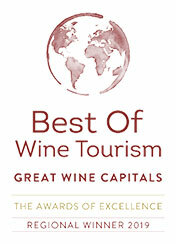 Wine tourism is this perfect combination of nature, culture and wine wanderings. Human work, thousand-year-old methods of vine cultivation, the wealth of our terroirs and the art of our blends – all will be explained! Then comes a convivial interlude giving you, the enlightened enthusiast, an opportunity to taste our different wines. We would be happy to share our convictions, our commitment to our beautiful region, and even our favourite destinations with you. We have some wonderful surprises in store for 2017, when we will be able to welcome you to our forthcoming guest accommodation – an enchanting break to unwind, as time stands still! 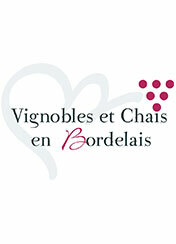 We are proud to bear the ‘Vignoble et Chais en Bordelais’ quality seal. 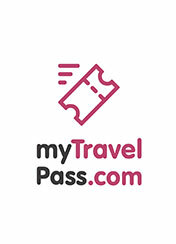 The visits are made in French or in English. The Castle is opened Monday to Friday from 9:00 am to 12:30 am and from 2:00 pm to 5:30 pm. The Roquefort site is well-known among archaeologists with a passion for prehistoric times, and has in fact been inhabited since the 5th millennium BC. 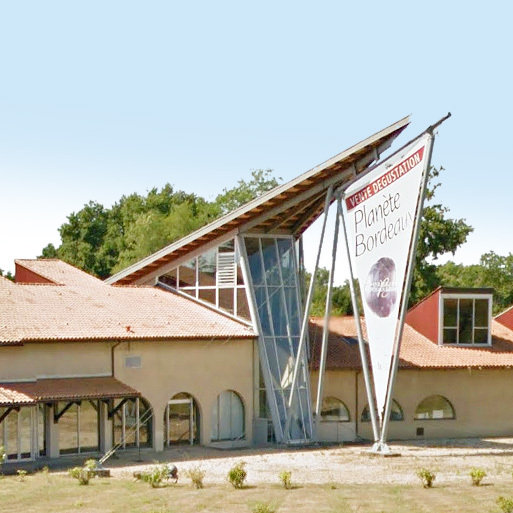 The first communities here lived off agriculture and animal husbandry and have left many traces behind: pottery and items from daily life which are now exhibited at the Museum of Aquitaine in Bordeaux, and first and foremost the remarkably well-preserved ‘covered walkway’ mass burial site. Like all dolmens, the side walls are demarcated by orthostates (22 blocks). 14 metres long, the alley was once covered with various horizontal beams, three of which are still in place. The first excavations of the prehistoric Roquefort site began in 1865 when artist and archaeologist Léo Drouyn discovered the Roquefort estate and featured it in some magnificent drawings. According to the inscription above the lintel door, the Roquefort dovecote dates from 1715. During that period, only lords were permitted to keep pigeons, whose droppings were found to be an excellent fertilizer for crops. The area inside the dovecote was divided up into nesting boxes known as pigeon holes, each able to host a pigeon pair. The Roquefort dovecote once contained more than 336 wicker pigeon holes, 32 of which have been restored by the Compagnons du Devoir. Depending on the size of their crop land, each estate owner was entitled to own a dovecote and a particular number of pigeon holes. These dovecotes had to obey strict rules (both to deter predators and to prevent the pigeons from raiding the fields during sowing time) including an airtight door, a shutter to keep the pigeons in, a projecting flight platform and more. 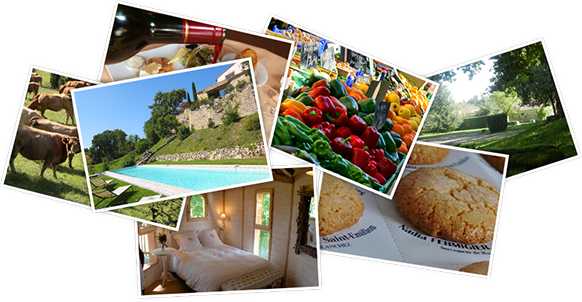 The Roquefort dovecote will reveal to you its secrets! Léo Drouyn, the Gironde artist and archaeologist who was born in Izon on July 12th 1816 and died in Bordeaux on August 4th 1896, produced more than 1500 etchings and thousands of drawings during his life. Passionate about the art and architecture of the Middle Ages, he gave us a unique portrayal of the Roquefort estate’s appearance in the 19th century and of numerous Aquitaine landscapes before the development of photography. In 1860 he said: ‘We must hurry, as ruins accumulate and time destroys, whilst people consciously help time…’ He stayed at Roquefort and drew the estate from every angle including the chateau alley, the woods, the fortified house, the Neolithic covered walkway to name but a few. 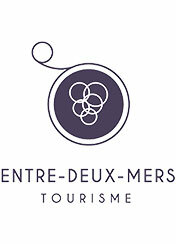 This hoard of heritage is now celebrated every summer by Editions de l’Entre-Deux-Mers and the Targon Tourist Office. 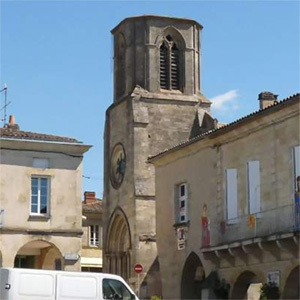 Situated between Garonne and Dordogne, Entre-Deux-Mers lives up to its name (meaning ‘between two tides’) and offers a wide range of remarkable landscapes, from the Lot-et-Garonne border to Bec d’Ambès. 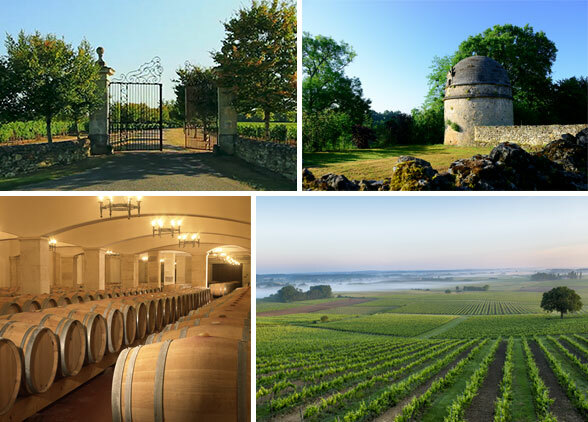 It is one of six regions featured by Bordeaux’s Wine Roads, and a visit to this vast vineyard area is bursting with surprises and cultural and historical sites. 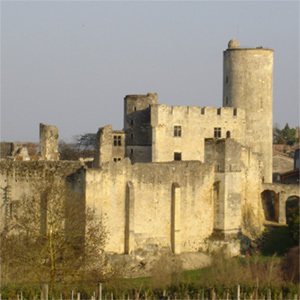 Château Roquefort is in a perfect location equidistant from Castillon-la-Bataille, Sauveterre-de-Guyenne and Créon. 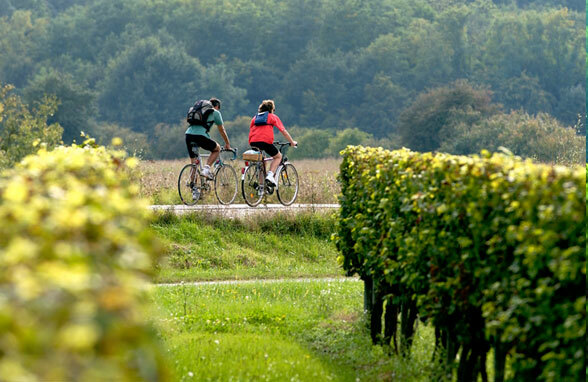 Château Roquefort is barely a kilometre from the Roger Lapébie cycle path (named after the winner of the 1937 Tour de France), one of the most beautiful green routes in France according to numerous bicycle touring associations! 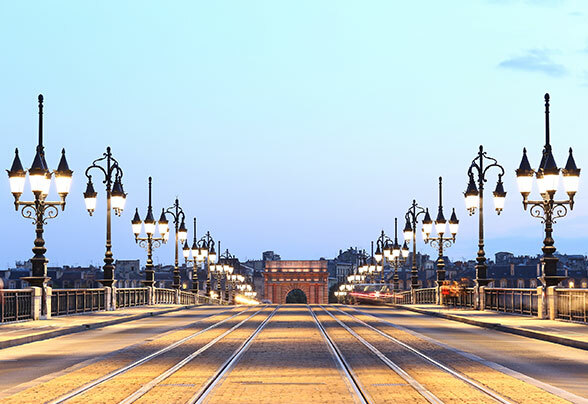 Since 2009 it has connected the Saint Jean bridge in Bordeaux with Sauveterre-de-Guyenne, covering a total of 54 km. 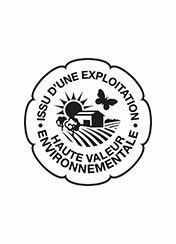 The Creon / Sauveterre section runs for 31 km through Entre-Deux-Mers with an undulating route and a wide variety of landscapes. It is excellently designed with the perfect starting point at the Créon bicycle station in Créon if you would like to hire a bike. An athletic delight to enjoy with your family or friends! Twenty minutes from Château Roquefort lies a medieval gem: Saint-Emilion also stands on a limestone hill surrounded by gentle vineyard hills and green groves. 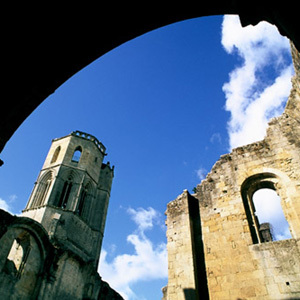 At the crossroads of Bordeaux, Saintonge and Périgord, in addition to its winemaking pedigree, the city also has a remarkable architectural and religious heritage to be discovered along its narrow lanes and shaded squares. 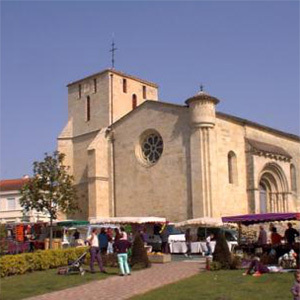 Neighbouring Libourne is a former ‘bastide’ port founded in the 13th century by Roger de Leyburn at the confluence of the Dordogne and Isle rivers. 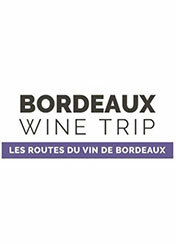 This is the starting point for the Bordeaux wine road in Saint-Emilion, Pomerol and Fronsac, an aesthetic and gourmet journey for fans of wine tourism.